Jewellery should be attractive. The Little Black Dress attracts jewellery in the real meaning of the word. The "Little Black Dress" by Umbra offers a lot of space for your favourite pieces. Matt Carr made the humorous Little Black Dress for Umbra. The jewellery storage refers to the traditional hooks and clips that hold all kinds of things. 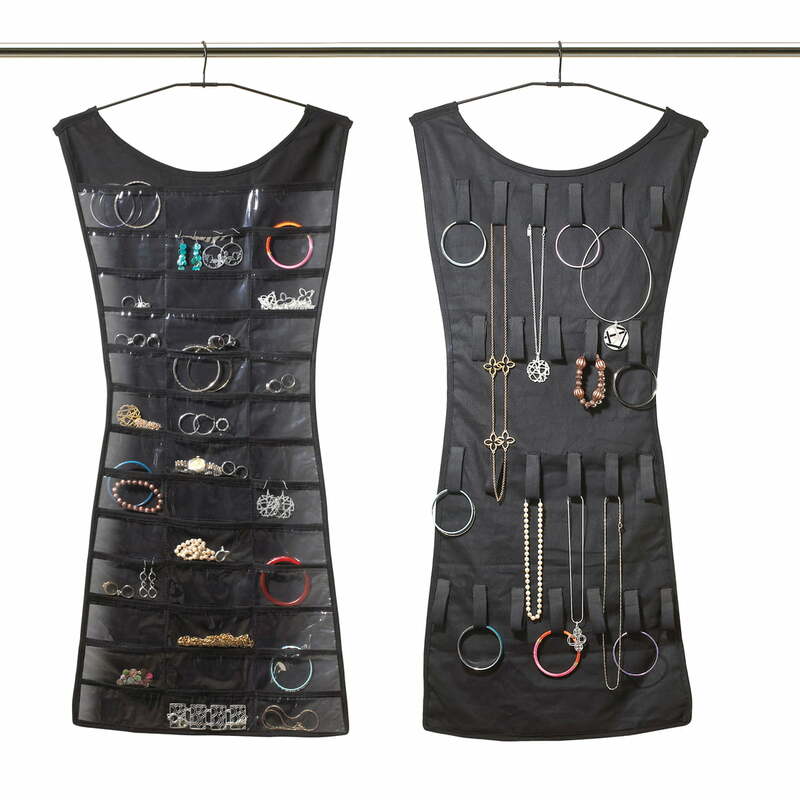 Little Black Dress is the feminine form of these hooks – The designer's piece by Umbra redefines jewellery storage. 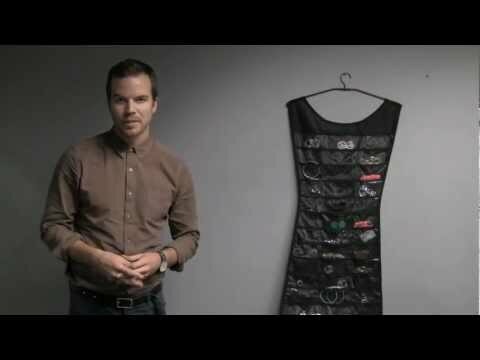 Umbra produces the Little Black Dress out of polyester and the bags out of plastic. 24 hooks and loops offer a lot of space, while the other side of the dress has 39 additional transparent pockets. 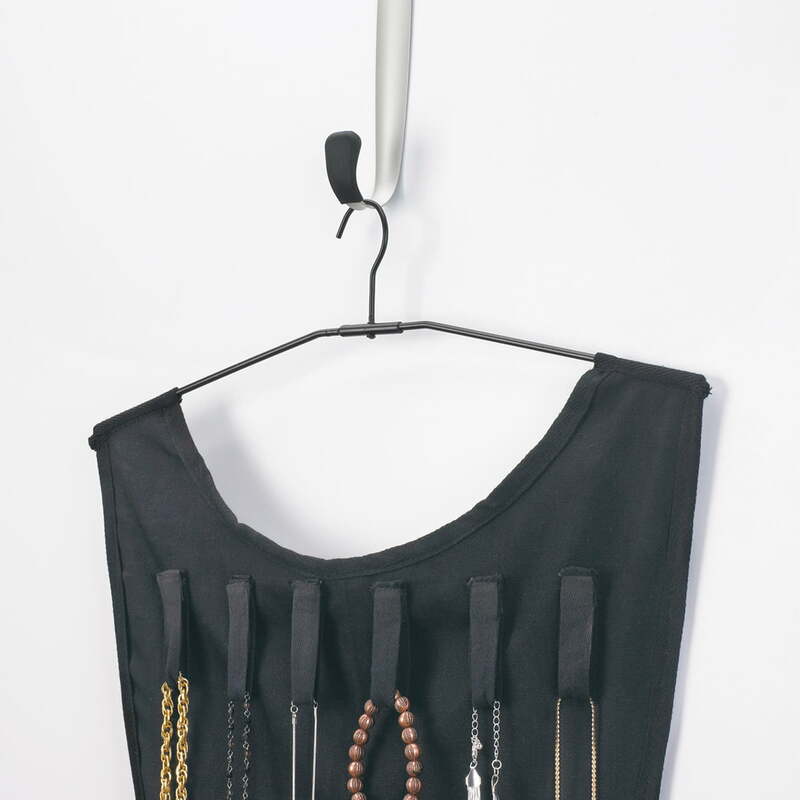 The practical hanger makes it possible to hang the dress by Umbra at a wall or in the wardrobe. The designer Matt Carr explains his products for Umbra. 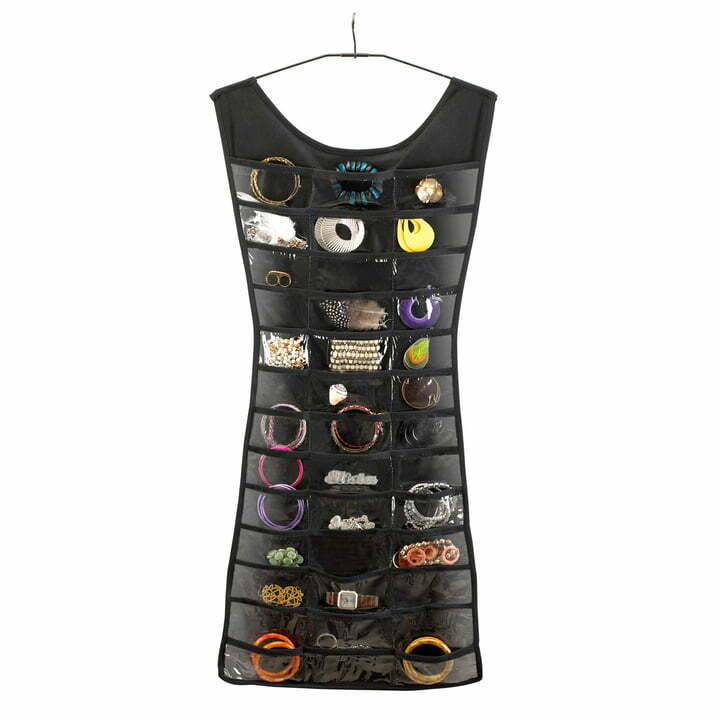 The Little Black Dress jewellery storage is obviously inspired by the fashionable clothing of the same name and offers space for 39 of your favourite pieces. 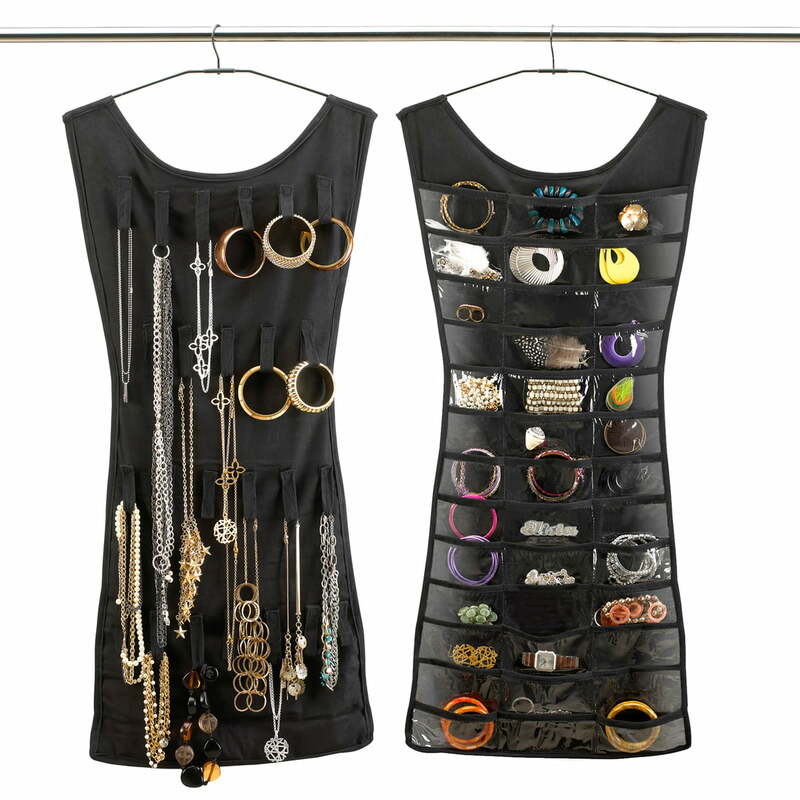 This jewellery hanger is a very clever and fun way to storage jewellery in our closet. 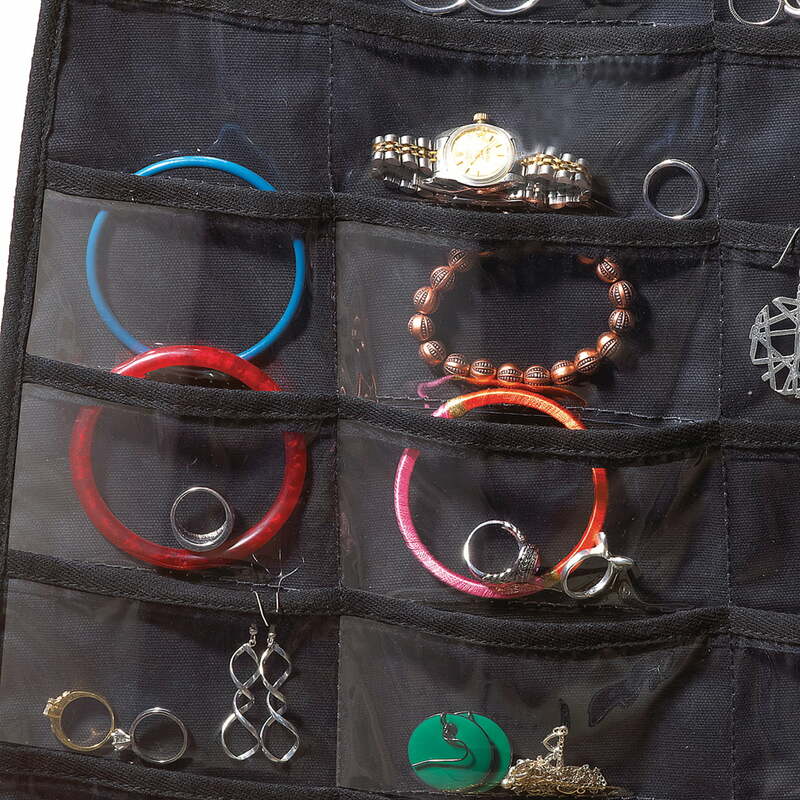 My girlfriend was looking for a way to store her earrings and necklaces that would keep everything organized and did not take up much space, and this product provides that.